Series points are up for grabs at round one; with only a light wind forecast and slightly warmer temperatures will this early season event prove to be a Battle Royale or a Leg Loosener? Will Latchem Sunwise continue their dominance in the men’s series? Latchem Sunwise bring three riders to round one and the team that dominated the summer series will look to gain an early hold on the standings at the winter series. James Dudden, Nathan Hallett and Ian Hicks will be racing in the men’s 2/3 and with Bath CC as the only club fielding more than one pre-entry it looks like it is set up to be a showdown between two of the well-established racing setups in the area, with a challenge from Bristol RC also expected as the series goes on. With no racing for several months we will be looking to see who has the best race sharpness during the off season to give us a clue as to how the series will pan out. The uni clubs of Bath and Bristol have been flourishing over the past few years, and there are six riders from across the universities entered in the 4th cat race. It is always hard to establish control over a 4th cat race, especially this early in the season – but with no points on the line will the race take on a more tactical feel? 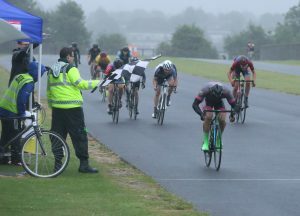 Historically the early season 4th cat races at Odd Down have been at least a match for the senior 2/3rd Cat race, with a few very strong new racers making their racing debut. It is likely we will find out who will start making waves on the local scene this year in the 4th cat races this winter and there is no better place to look than the two uni clubs. With five 4th cat women entered, and three of those racing for the first time ever, Avid Sport is proud of the progress both the team and the individuals who are stepping up have made. With two more experienced racers to guide them, hopefully Joanna, Sarah and Aimee have a blast and make a splash on their first racing start. Sally Crocker and Lauren Johnston will have to keep their wits about them to manage the teammates as the race progresses. All eyes are on the women’s races this winter, as we try and shake up the way women’s races are run – Manchester is taking a keen interest to see if we can prove that we are making steps forward. In the summer series, it turned into a two horse race for the top place in the leaderboard between Charlotte Berry (Performance Cycles) and Bethany Taylor (Vertex Biemme). In the end, it was the Performance Cycles rider’s consistent high finishes that won the series and so make her a rider to watch in the upcoming winter series. With a few new faces already looking to make an appearance in the early rounds, will we see some new challengers taking to the top of the standings?